So you’re off to Europe and hoping to get in on the local sports, eh? I know the action of UEFA 2012 (Euro Cup) is kicking off summer nicely (no pun intended), but there’s another sporting event that shouldn’t be missed if traveling to Florence, Italy in June. This event takes place every year in June and it’s something you will never experience back in the states. 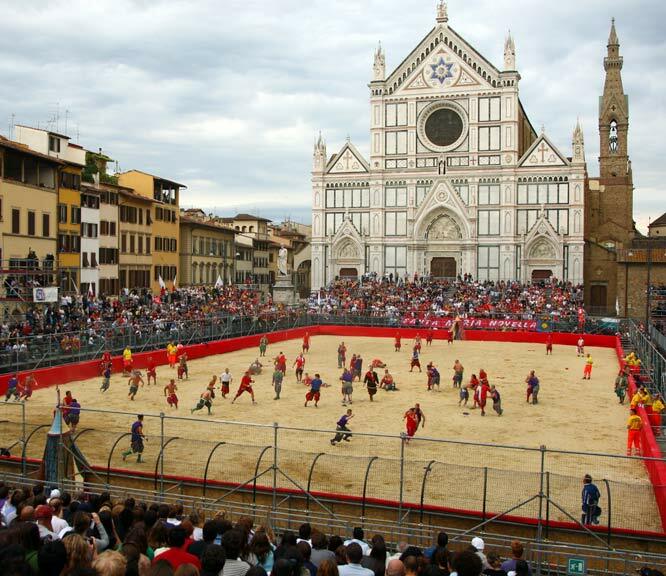 If you’re on your way to Florence or perhaps already lucky enough to be there, I always tell people to try to experience the Calcio Storico if at all possible. I first mentioned it in this blog post some time back but I think it’s worth mentioning again since more people seem to express more and more interest in the event. 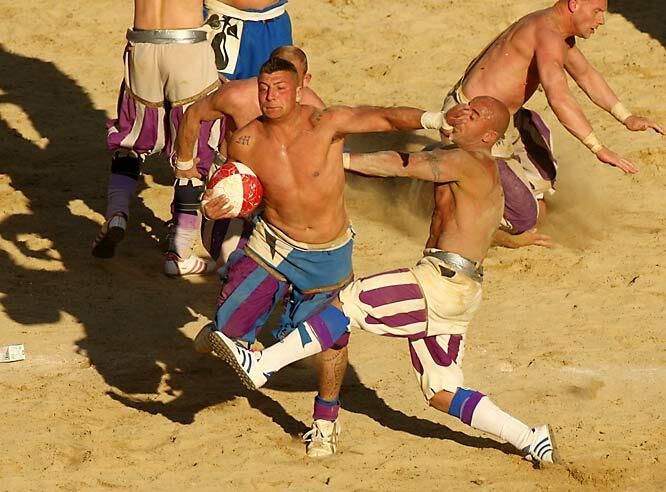 Strictly a Florentine event, Calcio Storico is a combination of pageantry and tradition, balanced out by blood, sweat, no tears, but a lot of drama. In short, it’s four teams, representing different districts of Florence, fighting it out for the big title. It goes on for a few days, with its championship game taking place on June 24th. It’s rugby on steroids and just a plain hell of a lot of fun to watch. One way to get tickets to the event is through a ticket broker. The one that keeps coming up as a recommended broker is Boxol.it which can be found here. I also would check with the hotel concierges if you are or will be staying in any of the major hotels in the area. They may have other resources and can probably communicate better than you in trying to obtain tickets, unless you’re fluent in Italian. Summer is just beginning and there are SO many events to attend. We’re just getting started but this is one event I absolutely loved going to and felt so privileged to attend. If you are a sports fan, it will blow your mind how brutal yet passionate these players are. If you’re not into the sports aspect of it, you’ll still appreciate the entire production and traditional aspects of the event.